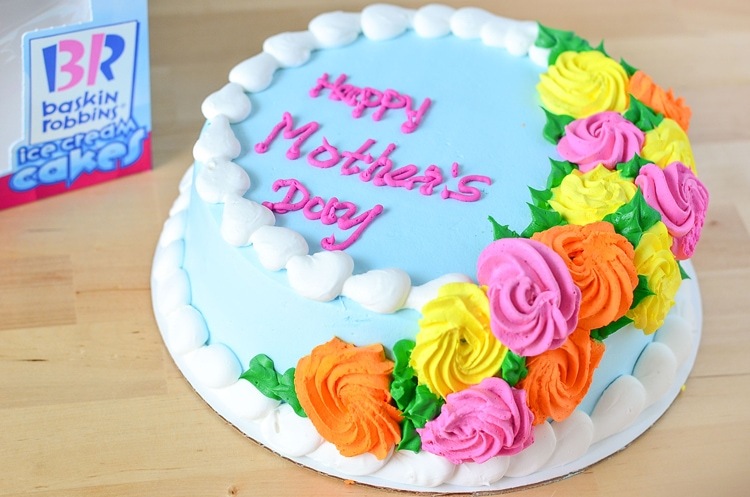 Special thanks to Baskin-Robbins in conjunction with Blog Meets Brand for sponsoring this post and helping us purchase our Mother’s Day Cake! There’s a huge piece missing.. After losing your mom, mother’s day isn’t quit the same. 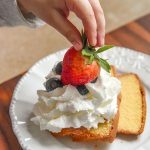 Celebrating Mother’s Day without your mom can be T-O-U-G-H. Then when you become a mom you find that love for Mother’s Day again, and it’s almost perfect. The perfect Mother’s Day would involve my mom, and that is why we call it “almost perfect”. I’ve learned to accept that I need to celebrate, it’s my day too. My mother’s day after losing my mom consisted of us visiting my mother in law. While I love visiting, it was so hard. 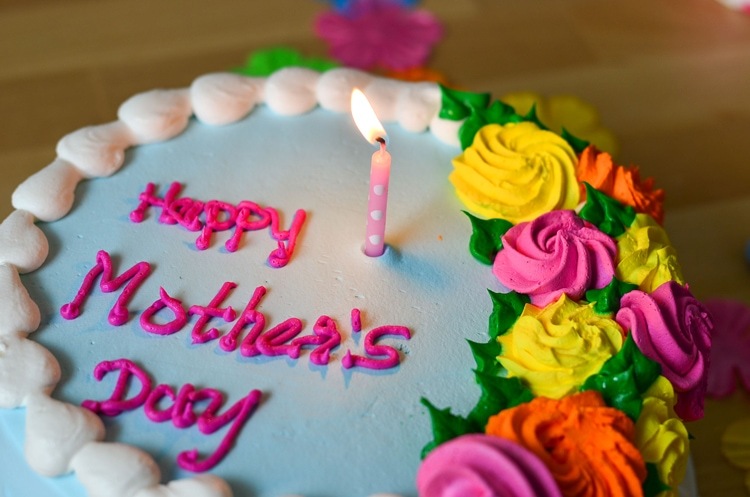 I used to love baking cakes and for Mother’s Day it just hurt. 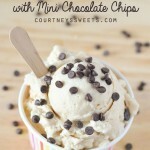 I could barely measure the ingredients without sobbing. 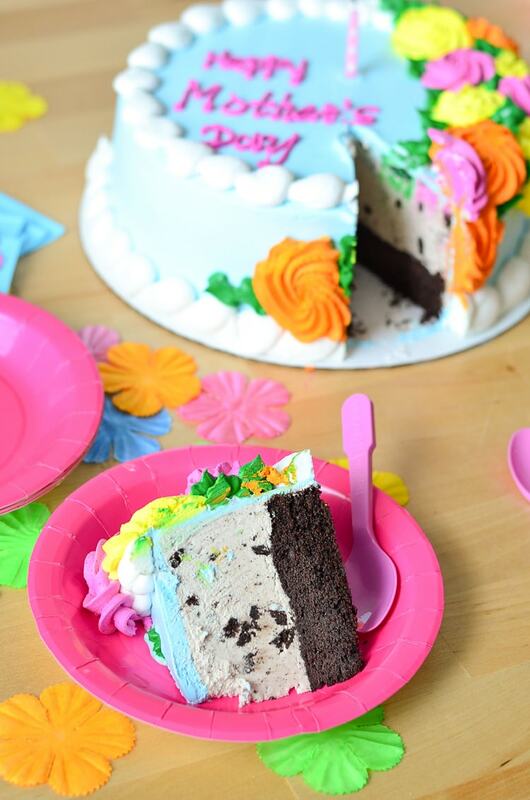 Baskin-Robbins’s Ice Cream Cakes are the perfect option for us. 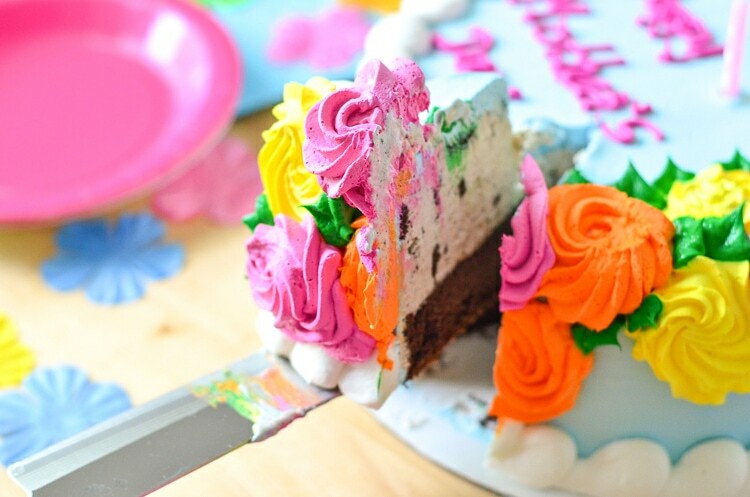 I can easily order online or better yet pick up already made ice cream cakes in store. This year I wanted to celebrate Mother’s Day a little different. I am going to have the almost perfect Mother’s Day. From the time we wake and up until we visit my mother in law we’ll be celebrating my daughter and I. I’m her mother and she’s my daughter, that’s worth celebrating! 🙂 We went to our local Baskin-Robbins’s and I let her go in with my husband to pick out a cake for me. 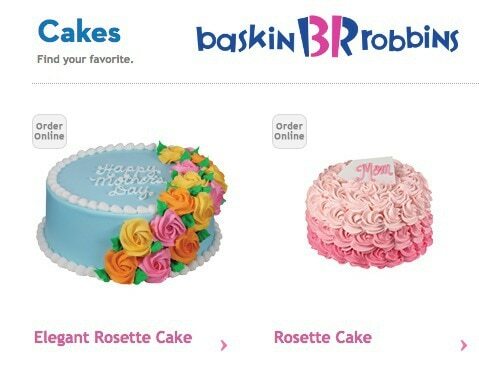 They have two cakes the Elegant Rosette Cake or Pink Rosette Cake. 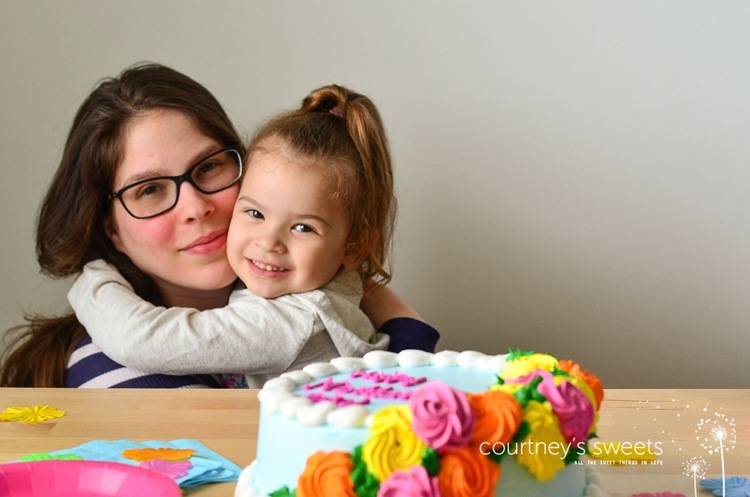 I thought for sure she was going to pick the Pink Rosette Cake and she ended up picking the Elegant Rose Cake, she said it reminded her of the sky and clouds with flowers for mama. I love that you can customize any flavor or colors you’d like. 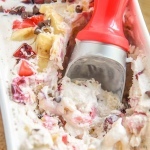 You have total creative freedom with Baskin-Robbins, minus the mess in your kitchen, win-win! When they came home with a cake they also had ice cream, because who can resist getting an upgrade to a freshly-baked waffle cone when you purchase a double scoop?? I thought they were going to get the May Flavor of the Month, Mom’s Makin’ Cookies™, but my husband and daughter picked my two favorites: OREO® Cookies ‘n Cream and Chocolate Cake. Chris teased that he was going to have them write “Happy Mudder’s Day”, since that is how my daughter says it. I wish he did, but he thought they’d think he was crazy, ha! This morning I opened the cake with my daughter and it was a surprise. It was so much fun watching my baby girl explain what she picked out for me. We enjoyed the cake together and don’t worry, we saved daddy some cake too! She insisted that I make a wish too. We blew out the candle together. 🙂 Even with my puffy red face I had to take a picture with her. 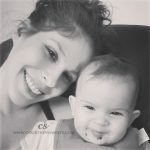 I love her so much and I’m SO blessed to be her mother! 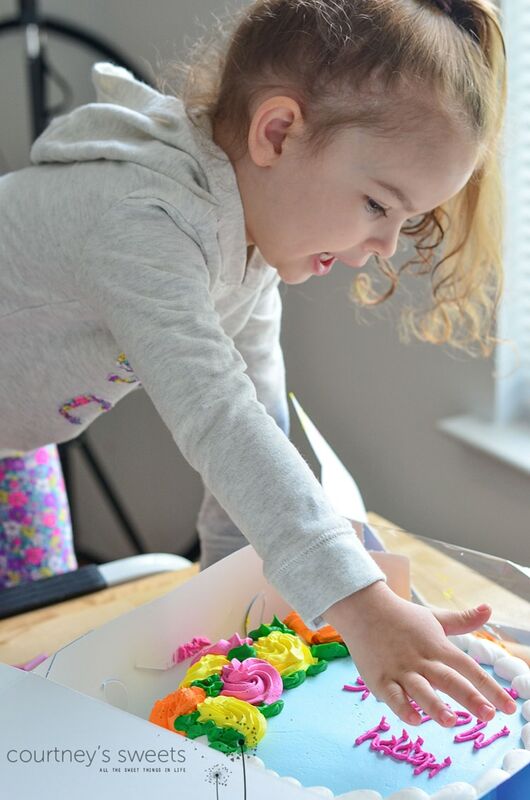 I cried a bit prior to her waking up and as soon as she woke up I busted out the cake and we had so much fun! 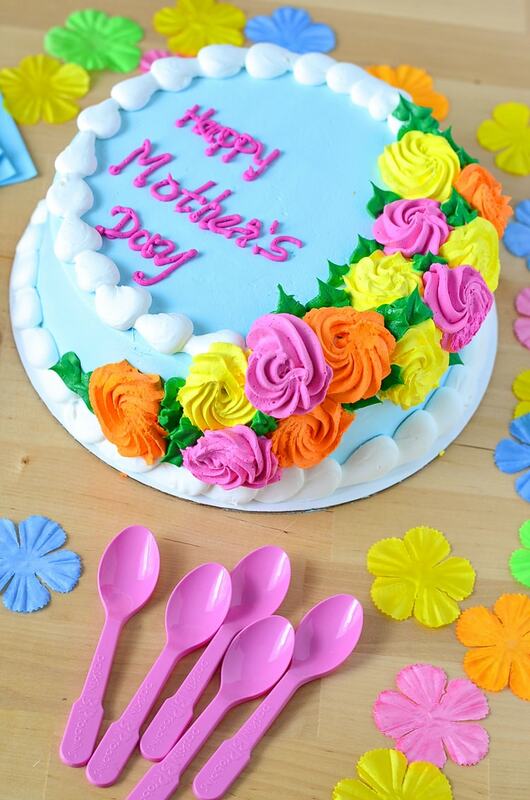 We didn’t order online since they had all we needed in store, so many different sizes in both Mother’s Day designs! 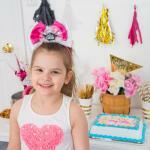 If you need a specific flavor or customization it’s super simple to order online. Just make sure you place your order at least 24 hours prior to pickup. 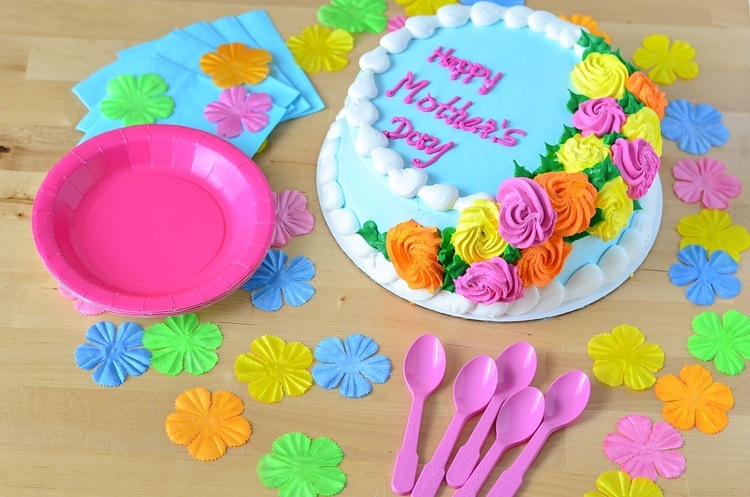 Get social with Baskin-Robbins on facebook, twitter and instagram. 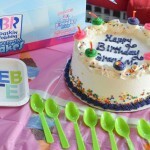 Baskin-Robbins was founded in 1945 by two ice cream enthusiasts. They are now the world’s largest chain/ice cream specialty shop. 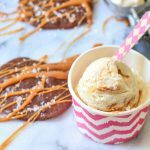 They have over 1,300 ice cream flavors and treats. You can easily find one by you since they have over 7,600 retail shops in nearly 50 countries. That count includes more than 2,500 shops in the United States. 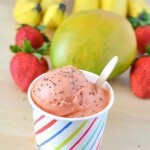 They have more than ice cream and ice cream cakes, you can also get frozen beverages and sundaes!